A well-presented 4/5 bedroom, split level, detached family house with fantastic gardens and a large Victorian barn/stables with development potential for a home office or annexe. Set back from the road, behind a gated driveway, this much loved home has been designed to maximise natural light and views of the surrounding gardens and neighbourhood. Rooms of good proportions make up the living accommodation and there is further scope to re-organise to create more bedrooms or additional accommodation in the separate barn (subject to any neccessary consents). Outside, there is parking for up to 3 cars on the driveway and another 2 in the double garage. Both front and rear gardens have been tended and developed over the years and now provide a lovely setting for this special home. 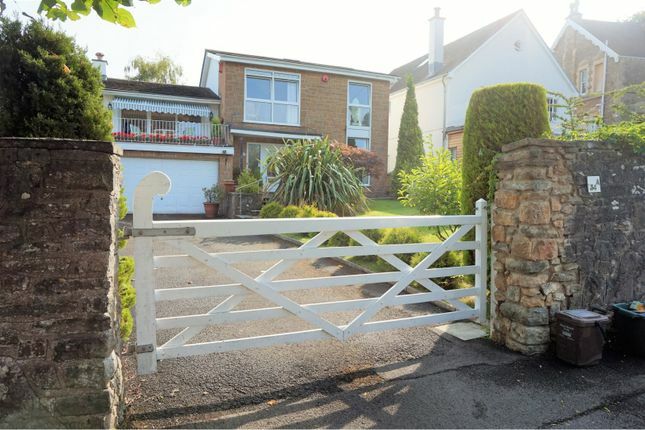 Channel Road is a quiet turning located on the sought after area of Walton St Mary, on the upper slopes of Clevedon close to the Golf course, coastal path and shops and cafes at Hill Road. Houses of this nature and position are rarely available on the open market and early viewing is advised. Front door leading to double width entrance hall with galleried stairs leading to all levels. This downstairs room could either be used as a study, TV room or additional bedroom. Suite comprising large bath with shower over, toilet and hand wash basin. A range of wall and base units providing excellent work surfaces and storage. 6 ring gas burner and oven, sink and fridge freezer. Sliding doors opening into the conservatory. A recent addition, this lovely, tranquil space overlooks the rear garden. An elegant room overlooking the rear garden with room for a large dining table. Located at the rear of the house, this galleried room provides views of the rear garden and a great place to unwind with a book. A fabulous room of nearly 20 ft in length with sliding patio doors opening to the terrace, this is a great space for entertaining and relaxing alike. Feature gas fireplace and stairs leading down to the rear sitting room. Surrounded by railings, this fabulous terrace overlooks the front garden and has space for a large table and chairs as well as more comfortable reclining chairs. Convenient 2nd kitchen with direct access from the side of the house, providing a utility area / boot room for muddy kids and pets. Range of base units with oven, hob and sink. Door to garage. Double bedroom overlooking the rear garden with built in storage / wardrobe. Double bedroom overlooking the rear garden with built in wardrobe. Double bedroom overlooking the front garden with built in wardrobe. Open plan to the galleried staircase this room is currently used as a study, although it could easily be partitioned off to make an additional bedroom. Suite comprising walk in shower, bath, toilet and hand wash basin. Originally part of a nearby Victorian house and used as the stables, this large outbuilding could be re-developed to provide a separate annexe or a work from home space. Note: The building does need full refurbishment internally. Mainly laid to lawn with mature shrub, flower and tree borders this beautiful garden also has a gazebo and patio area. Large lawned area with mature trees and shrubs. Up and over garage door, light and power. Door to 2nd Kitchen/utility.